A new year is here! 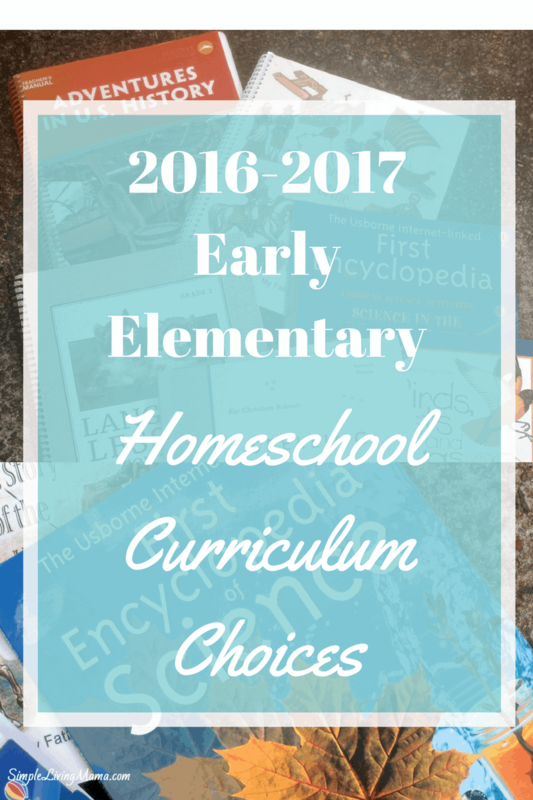 I’m ready to share with you our homeschool curriculum choices for the 2016-2017 homeschool year! We are using Adventures in U.S. History for our family study. 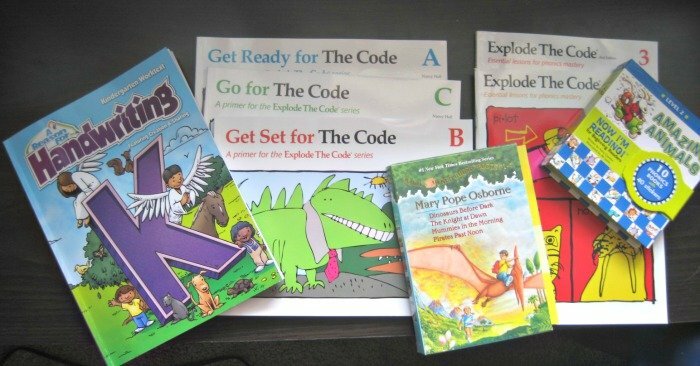 I am using most of the components of Adventures for both my 2nd grader and my kindergartner. We are doing the Bible, history, and science together as a family. We absolutely love My Father’s World and have been using it since my oldest was in kindergarten. Find out about why we chose MFW! 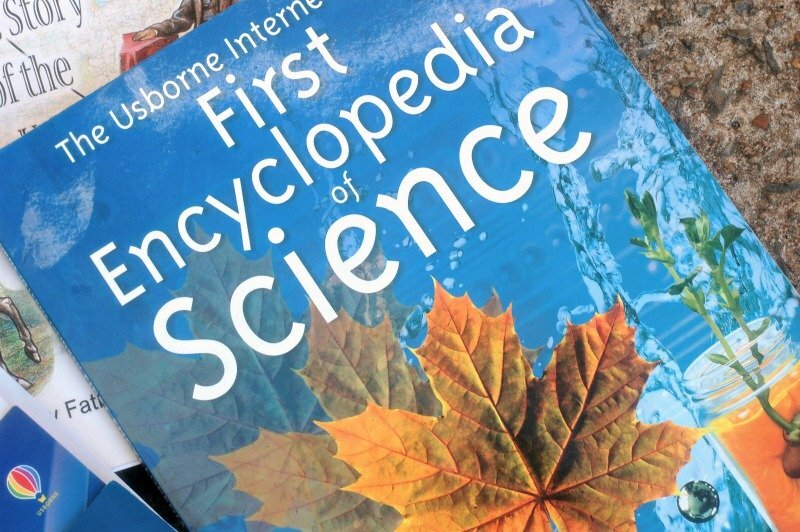 Our science study is coming from Usborne’s First Encyclopedia of Science, as well as Science with Air, Science in the Kitchen, and Birds, Nests, and Eggs. I have this added this book to our morning basket to help us with artist study. Another book I use for art projects is Artistic Pursuits. I have a full review on this curriculum. It’s been really great. I love the Draw Write Now series for helping teach children how to draw. This is the music study that came with Adventures. We are also learning patriotic songs. 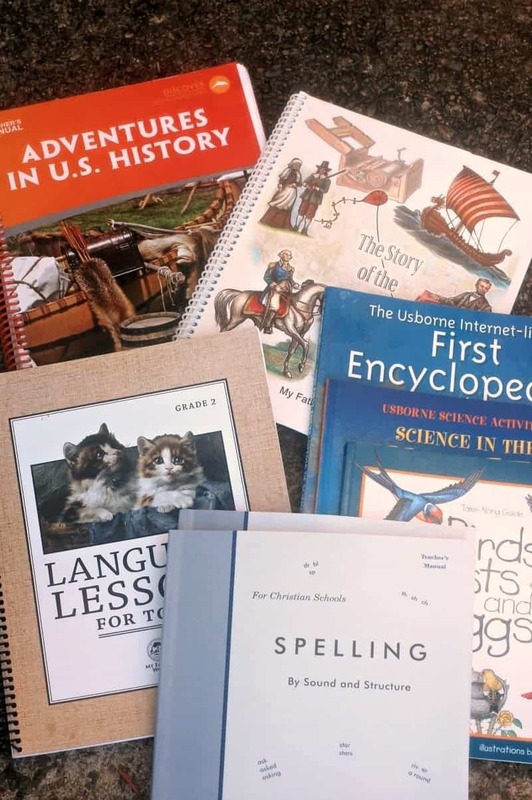 For my second grader, I chose the recommended language arts from My Father’s World. Math Mammoth is not the math recommended by MFW, but it is also mastery based like Singapore. It was less expensive and so far I really like it. My second grader is reading aloud from lots of different easy readers that he is interested in. My kindergartner is mostly tagging along with my second grader, but she is doing her own reading, phonics, handwriting and math. Here’s what we are using! 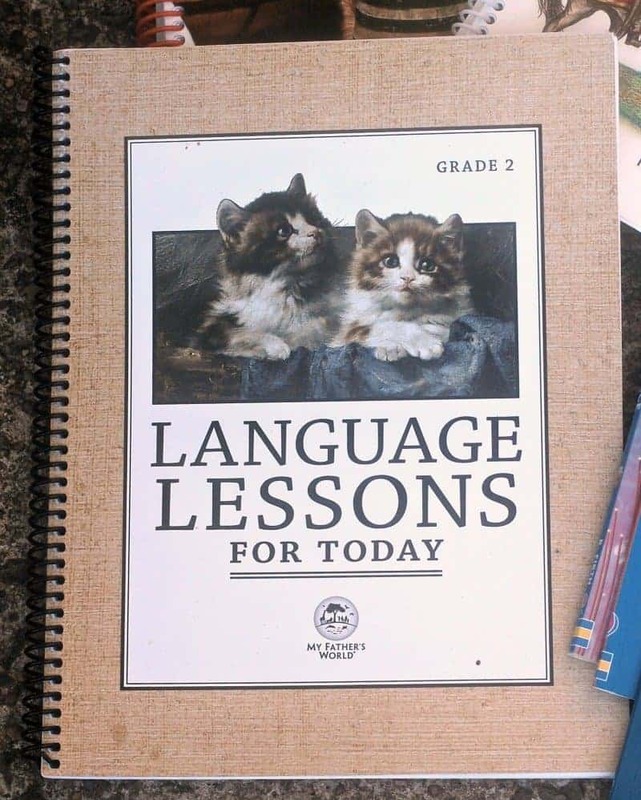 Well, that’s everything we are using this year for our early elementary curriculum. We are three weeks into MFW Adventures and I honestly love it. I think this will be our best year, for sure. Want to see a video of our curriculum choices? 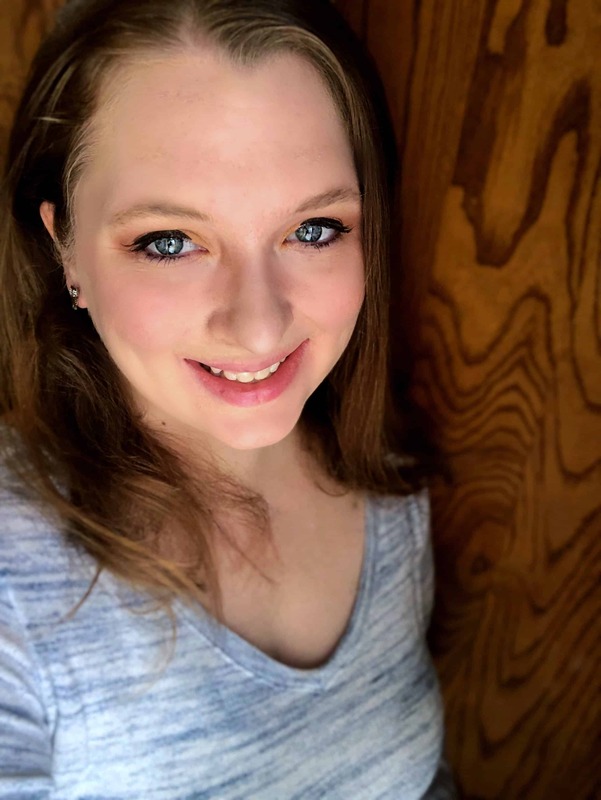 Look below and go ahead and subscribe to my YouTube channel! 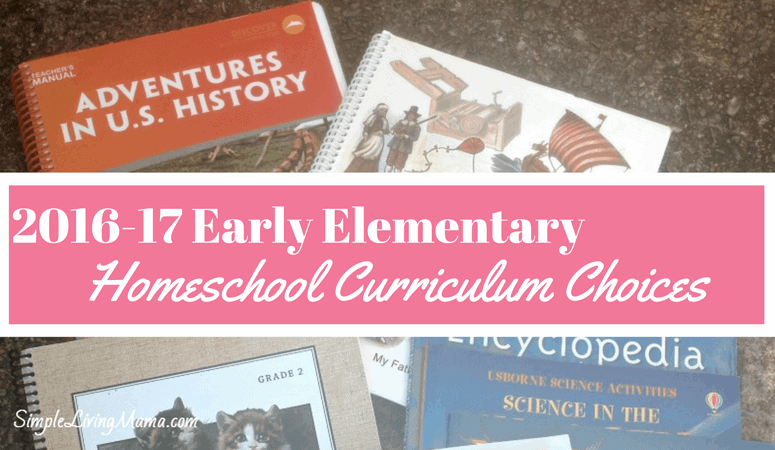 Go check out our preschool curriculum choices, too! My Father’s World is dear to our hearts. I’ve used it for several years with my older set of children and in recent years with my younger two for Kindergarten. You’ve made a wonderful choice. 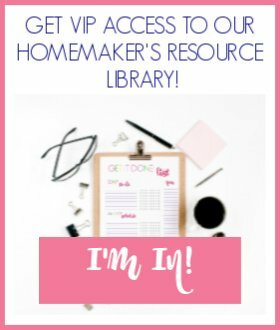 Hopping over from the “Back-to-School” Blog Hop. Thank you! I love everything about My Father’s World. It’s such a wonderful curriculum.